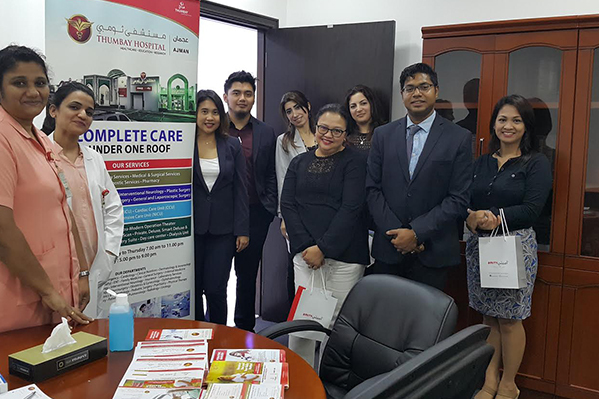 Thumbay Hospital – Ajman, the leading private academic hospital under Thumbay Group’s healthcare division organized a free health camp at RAK Insurance, Ras Al Khaimah on Monday, 22nd August 2016. 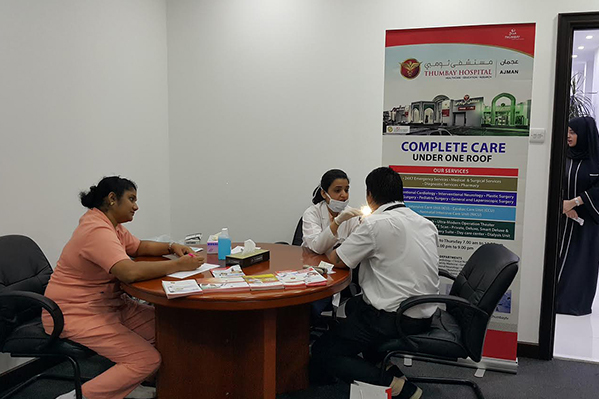 The camp offered free dental checkup, blood sugar and blood pressure checkups to staff of RAK Insurance. Around 85 staff members availed the checkup. The management of RAK insurance thanked Thumbay Hospital – Ajman for organizing the free health camp. 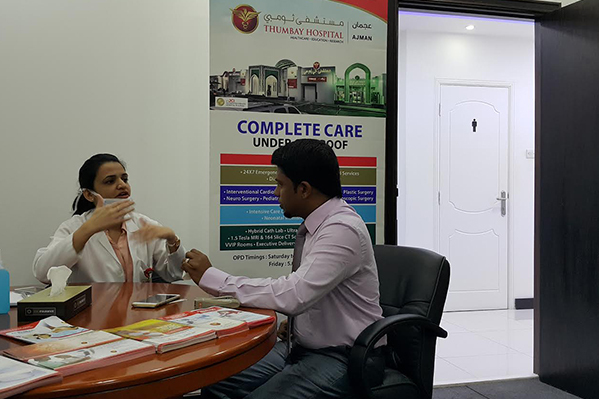 The network of Thumbay teaching hospitals and state-of-the-art Thumbay Clinics regularly conduct free health camps at various locations in the UAE, as part of Thumbay Group’s CSR activities.